The US Office of Management and Budget (OMB) announced the finalization of a new regulation impacting small nonprofits. OMB announced the finalization of new regulations increasing the audit threshold from $500,000 to $750,000 in annual Federal funding and setting a new minimum 10% indirect cost rate on Federal grants. Recipients of Federal grants have long had to undergo an additional set of audit procedures known as the A-133 audit or single audit along with their financial statement audit. 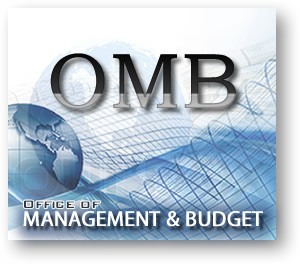 OMB has now exempted organizations receiving less than $750,000 per year in Federal funding from these procedures, saving small nonprofits both the additional cost paid to an audit firm to execute the procedures and the time of gathering all the required information. The ability of a nonprofit to apply Federal funds to administrative expenses not directly associated with the purpose of the grant (indirect costs) has long been at the discretion of the Federal agency awarding the grant. Even within an agency there has been variation as some award programs have allowed spending on indirect costs and others have not. When spending on indirect costs is permitted, the same agency may sometimes set a fixed reimbursement rate or amount and at other times allow the nonprofit to negotiate reimbursement of its actual indirect cost rate or amount. Therefore, the ability of a nonprofit to achieve financial sustainability by funding its infrastructure has often had more to do with which Federal funding stream it is able to access than its own financial skill. The new OMB regulations are an attempt to move the playing field closer to level by setting a minimum indirect cost reimbursement of 10% of direct costs. In other words, a nonprofit receiving a $100,000 Federal grant may now apply at least $9,100 of that $100,000 to infrastructure needs. The playing field will not be entirely level as some nonprofits will still be able to negotiate higher indirect cost rates. However, for small nonprofits without the resources or technical expertise to negotiate with the Federal government, this represents a significant increase in Federal support. This entry was posted in Accounting News and tagged Accounting news, Accounting SKB, Accounting US, OMB, OMB Regulations. Bookmark the permalink.